James Munnelly is a member of the Education Law Practice Group, focusing on litigation, administrative proceedings, appellate cases and special education matters. 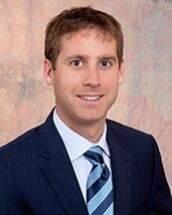 Prior to joining the firm, James received his litigation experience working for a private criminal defense firm in West Chester, PA. James tried criminal cases as a defense attorney in both adult and juvenile court and during that time, he gained a great deal of expertise in juvenile matters. He has extensive courtroom experience throughout all of the Southeastern Pennsylvania Counties, including, but not limited to, Chester, Delaware, Montgomery, Lancaster, Philadelphia, Bucks, York, Lebanon, Lehigh, and Northampton. While still in law school, James interned for the District Attorney's Office and was conditionally certified to conduct preliminary hearings and juvenile hearings. He was also a member of Moot Court and President of the Moe Levine Trial Advocacy Honor Society. James is a member of the Pennsylvania Bar Association. James ran track and cross country competitively in high school and college. In his spare time, he enjoys bike riding and playing golf.